Let’s assume that you’ve already published and promoted your event using Facebook (and possibly Eventbrite for more visibility and a physical guest list while you’re at it). It’s about time to start inviting people. Namely, your friends. If you’re a venue owner or musician, please share this article with your employees and groupies. It’s much more powerful if more than one person is sharing a single event. THIS is where the magic is about to happen. Remember back in the day (probably even yesterday or earlier this morning) when you had to click, click, click, click (hire an intern or someone off of Fiverr), to accomplish these mundane tasks? NOW you only have to perform a quick little hack so you may get this done in less than 2 minutes! How cool is that? I’d say pretty effing cool. Right click. That’s right, that right click button–hopefully you’ve got a mouse or the capabilities to figure this one out. You’re going to want to click on “Inspect Element” at the bottom when you do. Weird. You’re getting into the codey stuff now. Don’t get too intimidated. Once again; making this easy for you. 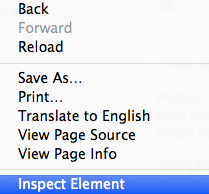 Now you’re going to want to click to the Console and paste ^that code at the top^ at the cursor. Don’t worry if you’ve got a lot of red text in this box, just go to the next line, paste in the code and press enter. 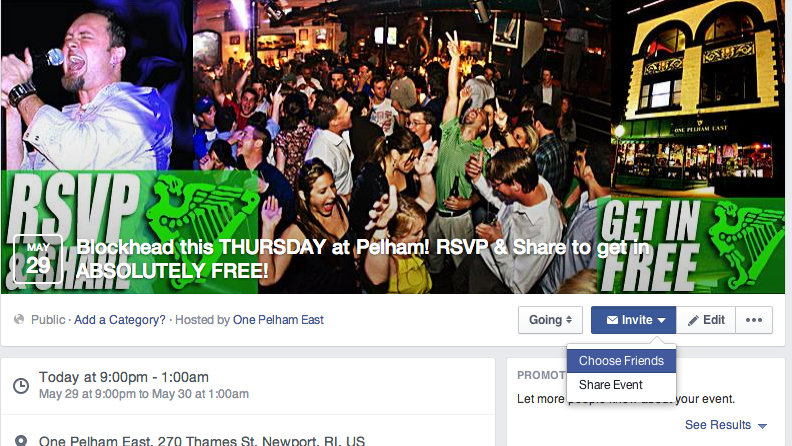 So if this tutorial helped you invite everybody to your Facebook Event, please feel free to like, share and comment! If it did not work for some reason, let me know–Facebook is always changing things to make it harder for us marketers to do our jobs more efficiently. 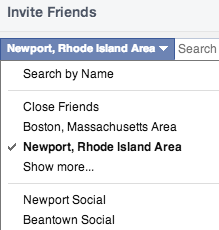 If you’re hosting an event in the Newport, RI area and it’s publicly on Facebook, please feel free to invite Kristen Newport (my Newport alter-ego) and I’ll add it to my Newport Social calendar. Alternatively, you can join and post in these Facebook groups: Newport Social & Beantown Social for any of your Boston, MA Events. Thanks for reading and cheers to your great event!